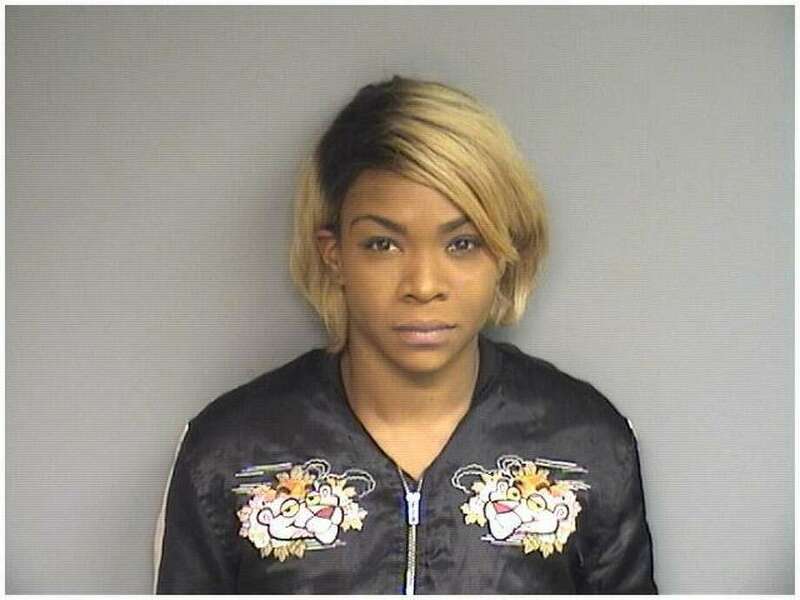 Jade Moore, 31, tried to open the passenger door of an unmarked Stamford Police car around 8 p.m. Friday at Station Place. Officers got out and asked why Moore was trying to get into their car. Moore told them she had mistaken the car for the one parked in front of the cops, police said. Police, who recognized Moore from previous arrests, followed her to her car where they found Jason Thompson, 31, in the driver’s seat. Police said they spotted Thompson with a marijuana blunt and asked if there were more drugs in the car. Police said they discovered a bottle of promethazine hydrochloride codeine phosphate syrup, referred to as “lean.” They searched the back of the vehicle where Moore said her purse was and located a mason jar containing eight bags of PCP, a powerful hallucinogen, police said. Police said they also found Moore in possession of several narcotics that were stored in her clothing. Police said they found 18 plastic bags of crack cocaine and 22 plastic bags of MDMA, or ecstasy pills. “This really was like a mobile drug market here,” Stamford Police Capt. Richard Conklin said. Moore was charged with possession of illegal narcotics and hallucinogens and intent to sell. She was held on a $20,000 bond. Thompson was charged with possession of narcotics and released on written promise to appear.